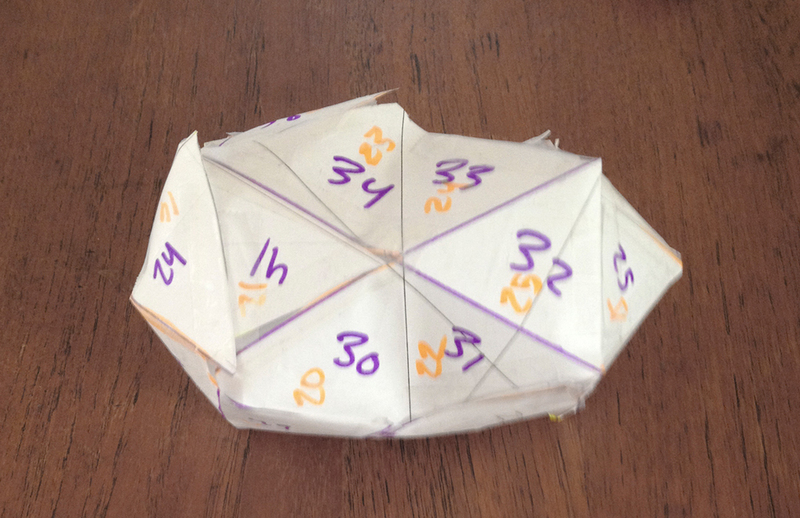 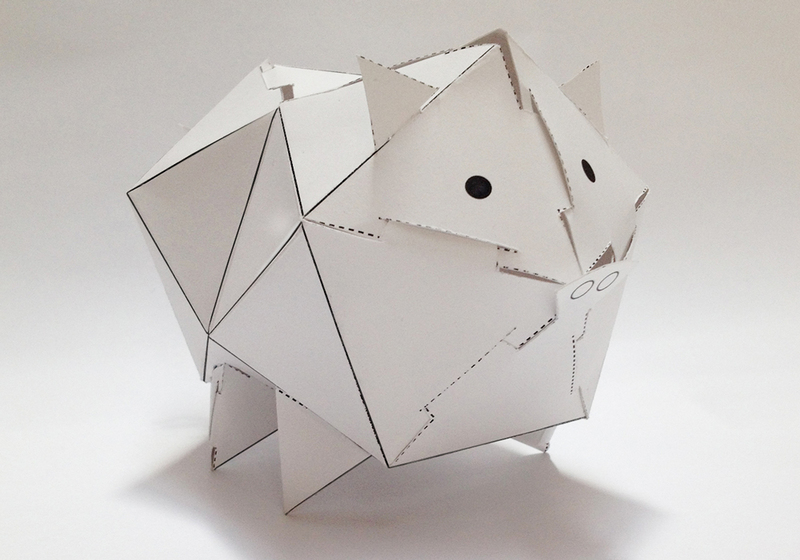 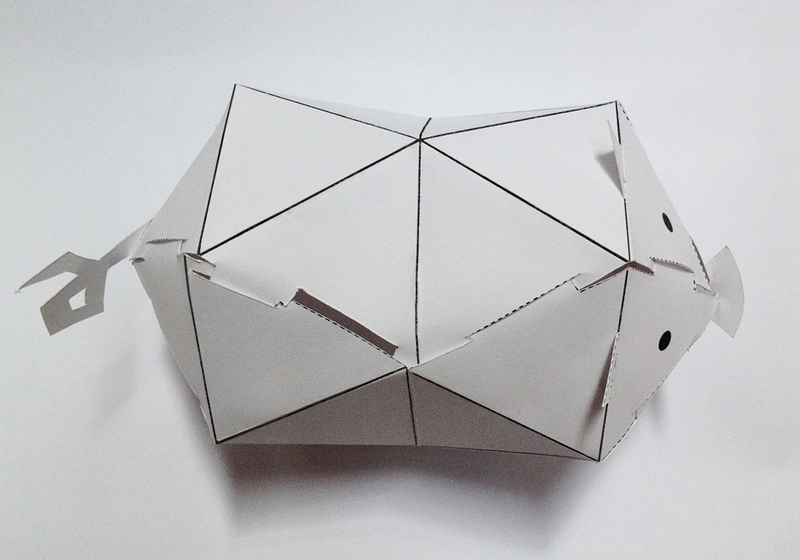 The pigahedron is a piggy bank designed via the lens of R. Buckminster Fuller. 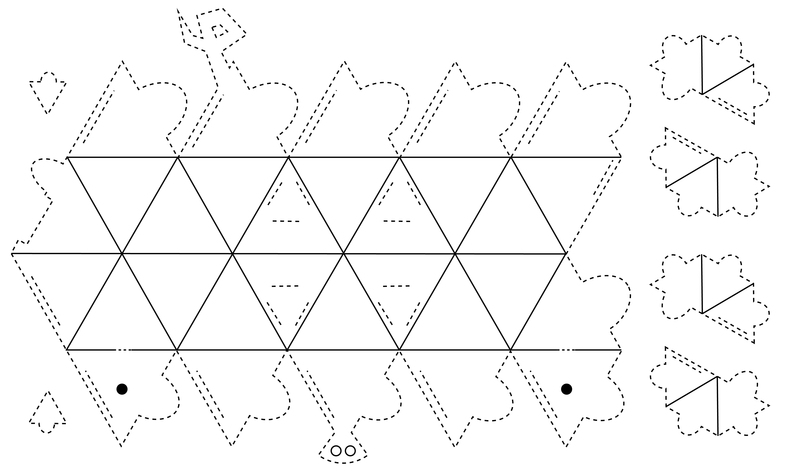 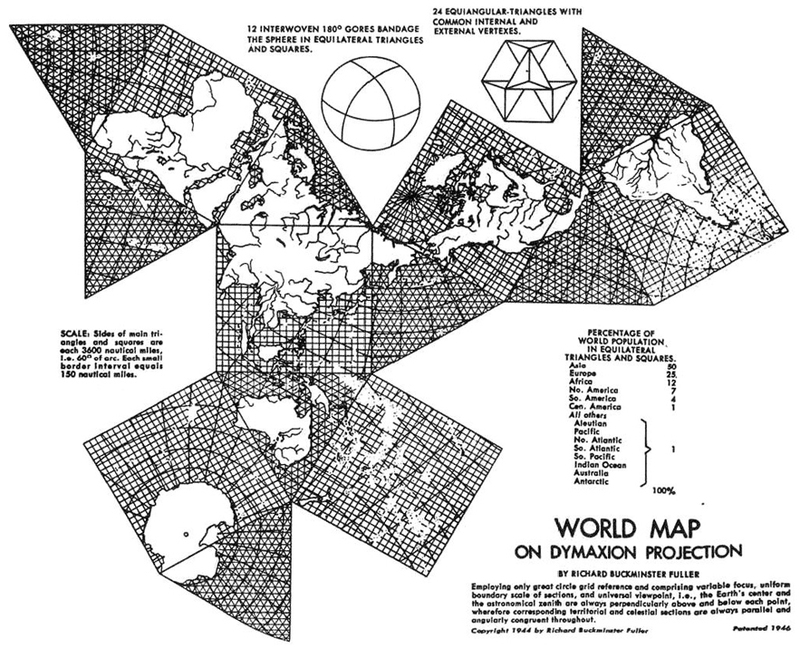 Its form is inspired by his Dymaxion Projection world map, seen below, which offered a geometric solution to the problem of representing a curved surface accurately in two dimensions. 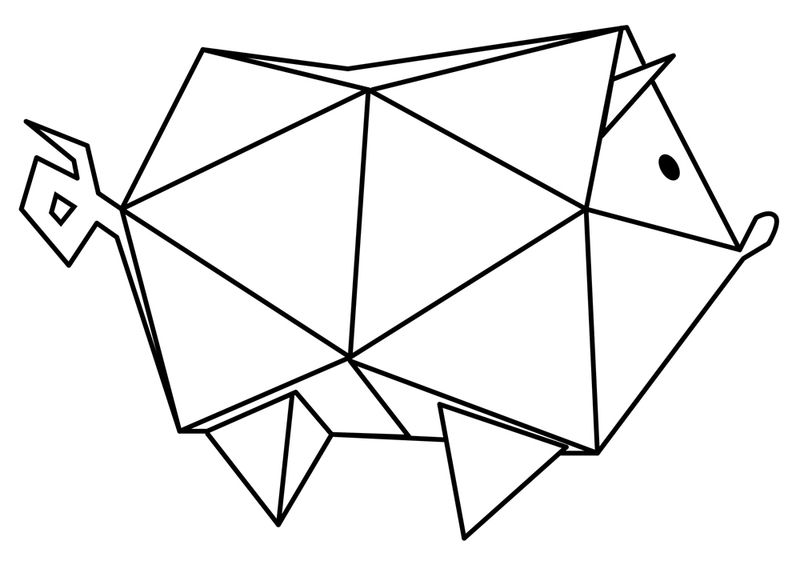 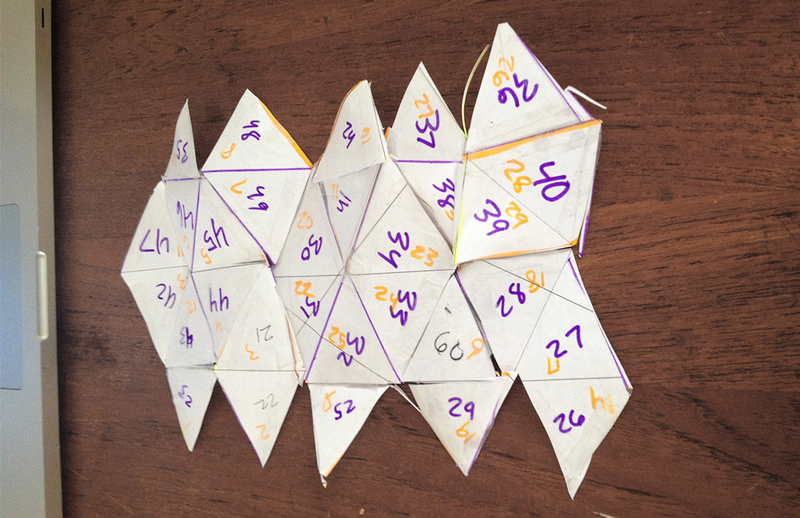 I grew up understanding that dashed lines mean cut and solid lines mean fold, but during this project I discovered this is a culturally relative knowledge that is inverted in parts of Asia and Europe, so there is a second version for their topsy turvy world. 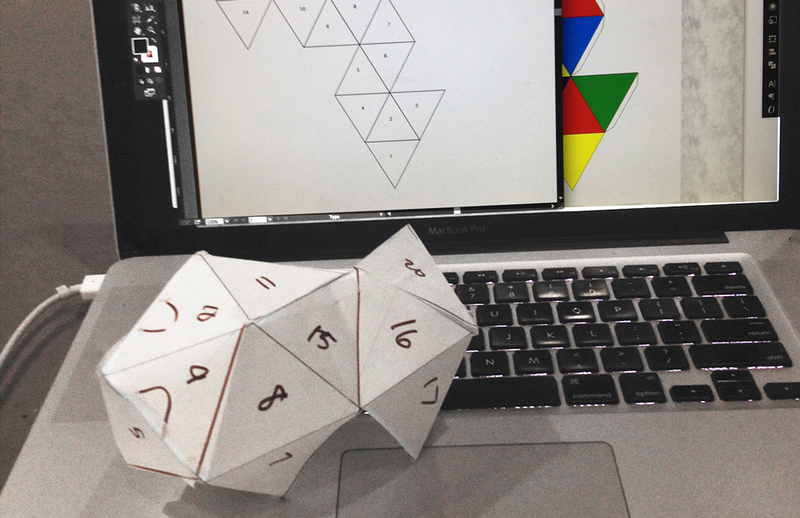 PDFs can be downloaded here (American) or here (Asian & European Projection).